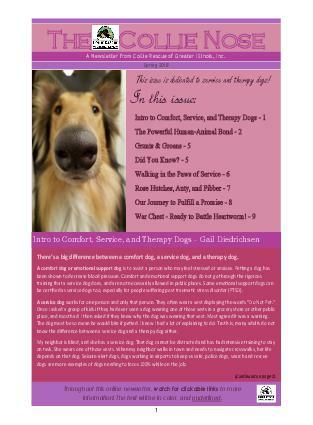 Intro to Comfort, Service, and Therapy Dogs The Powerful Human-Animal Bond Grunts & Groans Did You Know? 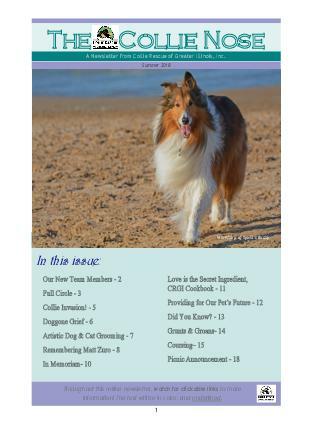 Walking in the Paws of Service Rose Hutches, Auty, and Fibber Our Journey to Fulfill a Promise War Chest - Ready to Battle Heartworm! 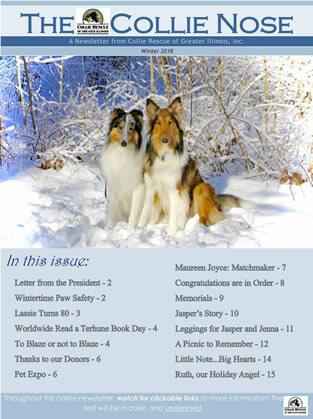 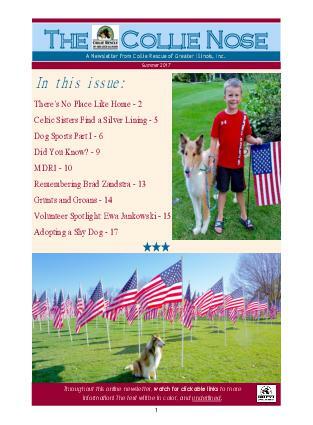 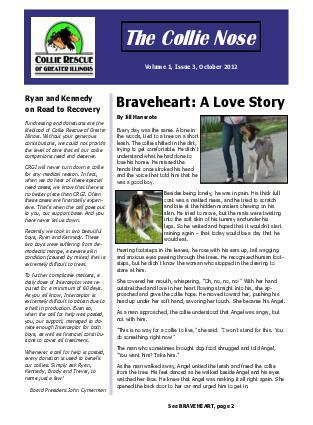 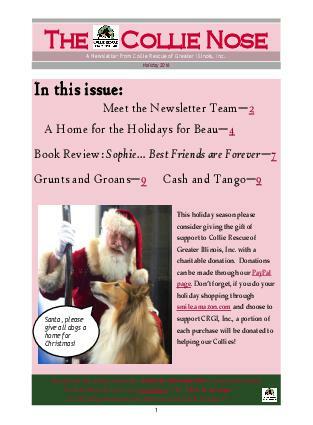 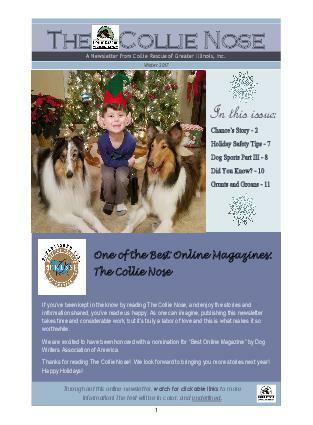 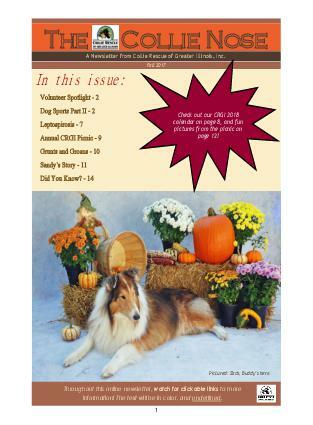 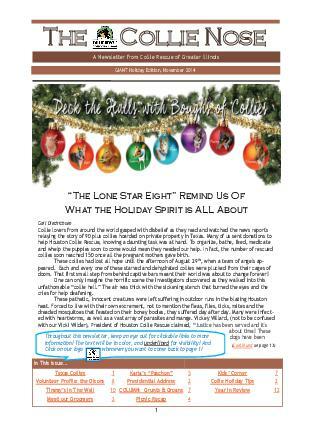 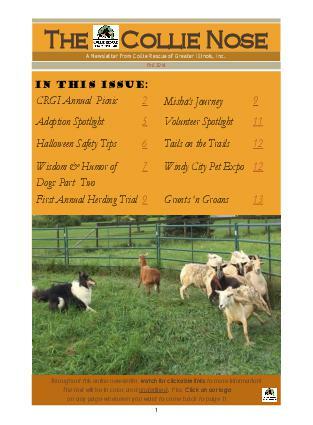 In this issue...Chance's story, Doggie Sports Part 3, Holiday Safety Reminder, Grunts and Groans and SO much more! 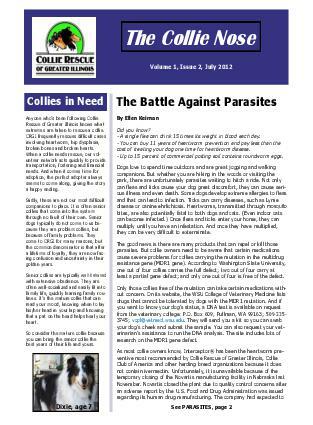 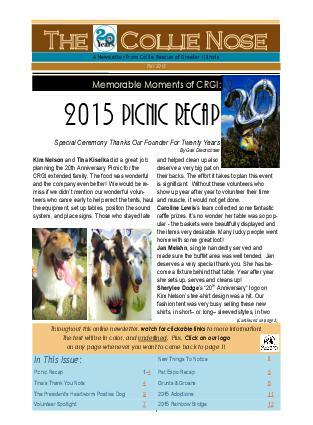 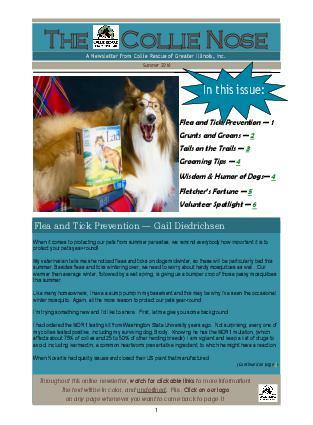 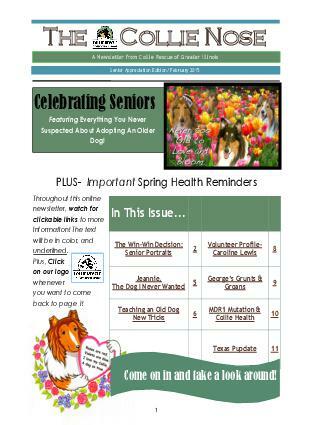 In this issue: | Volunteer Spotlight | Dog Sports Part II | Leptospirosis | Annual CRGI Picnic | Grunts and Groans | Sandy’s Story | Did You Know? 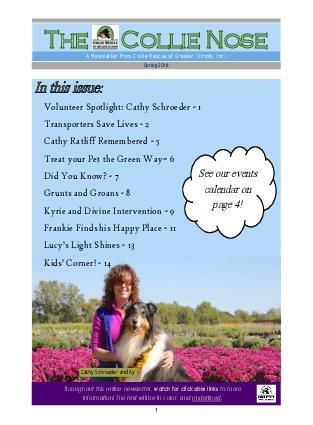 Volunteer Spotlight: Cathy Schroeder | Transporters Save Lives | Cathy Ratliff Remembered | Treat your Pet the Green Way | Did You Know? 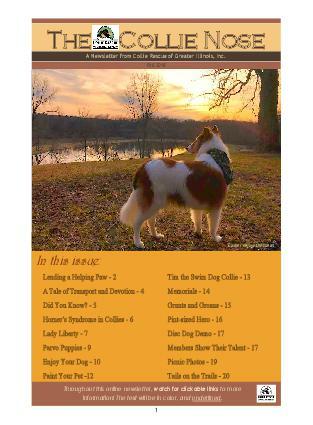 | Grunts and Groans | Kyrie and Divine Intervention | Frankie Finds his Happy Place Lucy’s Light Shines Kids’ Corner! 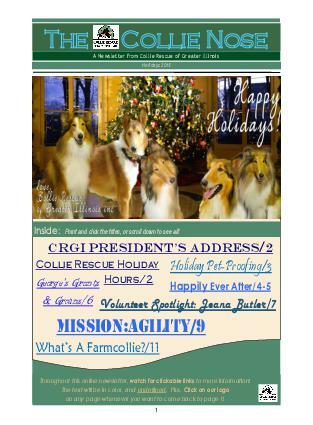 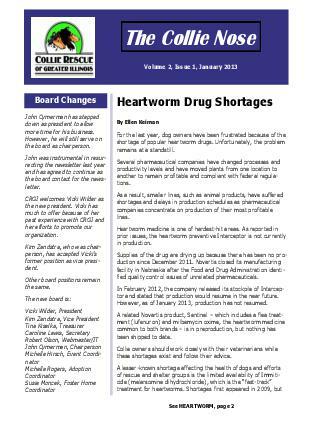 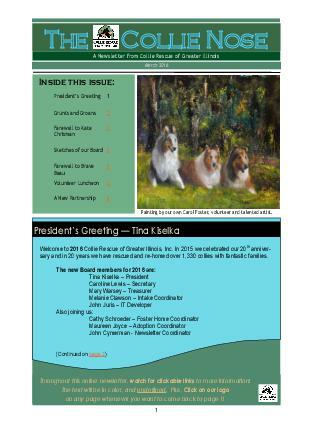 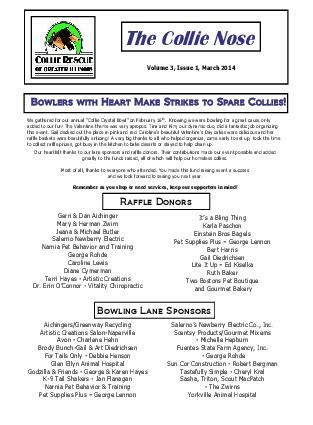 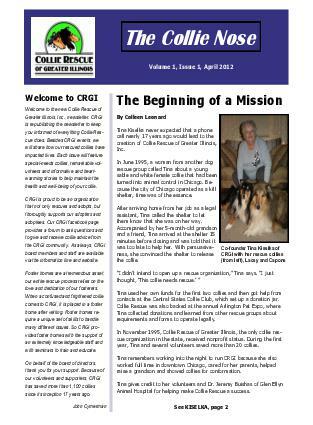 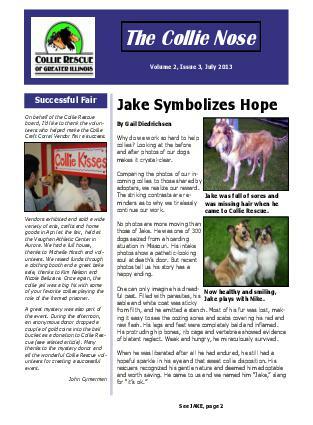 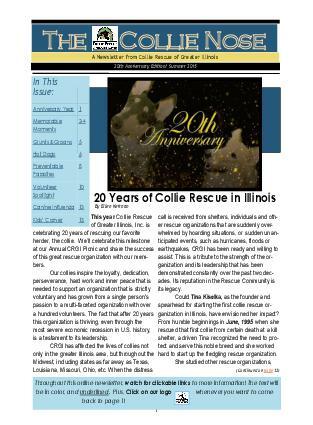 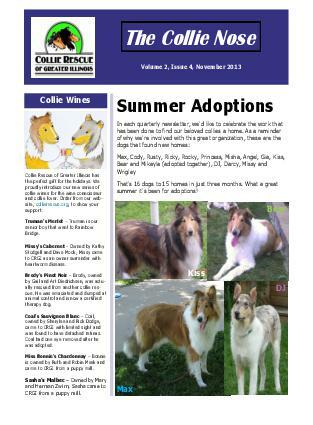 Meet the new Board Members and other Collie news in the Spring Edition of the Collie Rescue of Greater Illinois Newsletter.